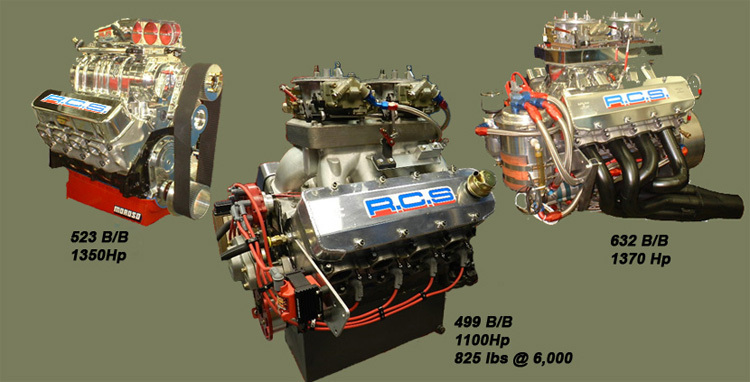 RCS Drag Racing Engines by Ron Stanislawczyk are made of the highest quality parts and workmanship available. With 30 years’ experience in developing, designing and machining RCS is at the top in offering power and reliability. From bracket racing to the professional categories, RCS powers the best, keeping quality and cost as their highest priorities. RCS offers their engines in every size ranging from 350 to 800 + cubic inches creating engine power packages as high as 1,600 Hp naturally aspirated. We also stand behind every engine sold with a labor warranty that reassures our customers that we care and appreciate their business and loyalty. In our past we've never encountered a customer that has simply stated their newly purchased engine doesn't perform as we said it would! At RCS we guarantee it will! If a customer allows us to do what's necessary and they follow our recommended instructions when putting the engine into service, you will never need a performance guarantee. RCS Drag Racing Engines are engines that are typically dedicated for drag racing and in most cases should not be used for street driving unless operation is very limited, due to the cost of these types of engines. Many Hot-Rodders find the high horsepower and torque appealing to their needs for street performance and therefore many drag engines are purchased for just that reason. I that is the case, then those engines will require lowering the compression for street fuels, a camshaft design change and/or even a few accessories, which understandably will lower that engine's power output in those applications. 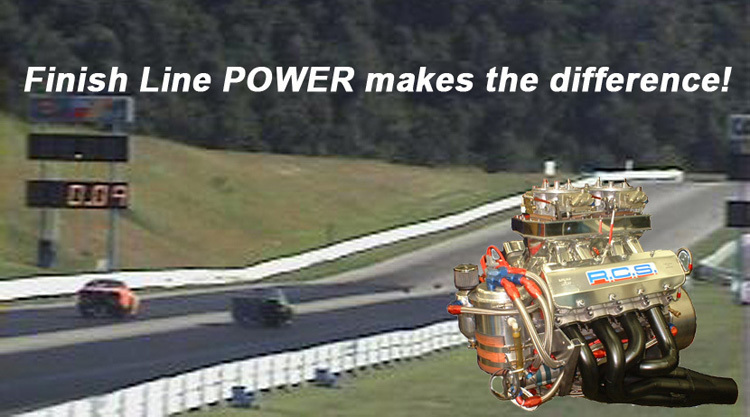 Drag Racing Engines in most cases are selected to support the customer’s needs, while engine size and power outputs are typically arrived at when selecting an engine’s operating rpm range. Many customers have a particular size and power output in mind and will purchase accordingly, looking for the highest power and most options advertised with the engine. Understandably, we all want to go as fast as we can while searching for the largest and most powerful engines. At RCS we don't typically believe in overkill, although it has its place in drag racing. The biggest concern for the bracket racer should be durability (engine life, maintenance, and ongoing operating expenses) and enough power to reach the desired ET/mph when choosing an engine package. From our experiences we know all of the pros and cons of all the engine packages that everyone builds for retail. The most important things to consider is their experience, expertise, and total knowledge of the combustion engine as a whole, not just their knowledge of one family of engine. The more different types of engine experience a shop has, the better all-around knowledge they'll have, and therefore you get more for your money without even realizing it. At RCS we encourage our customers to let us go over their ideas so that we can give them the engine package they need the first time. If they are a bracket racer of any speed, it doesn't matter; the last thing you want is to overpower the chassis. It's easy to add more power, but when you have a chassis that's limited it could constitute a new car, and that in most cases will upset the whole project. At RCS we engineer our engines to the required power needed to reach the ET/MPH for a given weight and driveline. If a customer needs 900Hp to run an 8.0 we will build the engine within + or - 2% the first time. Being able to do this makes our customers hit their ET mark much faster. When purchasing an RCS Racing Engine you will find they are fully assembled and dyno tested for leaks, mechanical operations, and tuned for max power. Each engine comes with an assembly warranty, which covers any workmanship performed by RCS for a period of one year. Parts and related labor from parts failure warranties if applicable would be warranted by the parts manufacturers if accepted.